Whenever Mr. Tsipras finds things difficult politically, and whenever merciless events reveal his nakedness, he marshals the rhetoric of hatred and division. Essentially, he has nothing more to say, nothing more to declare. 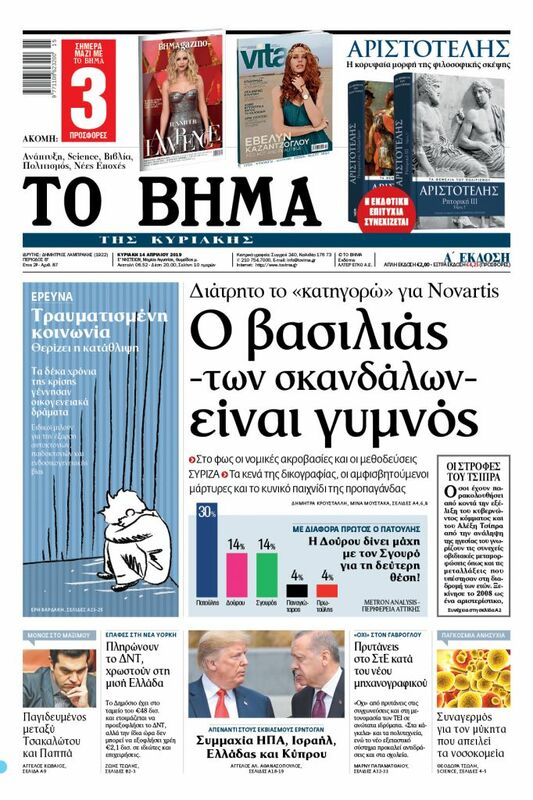 Those who have carefully followed the evolution of Mr. Tsipras and SYRIZA under his leadership, were not surprised by the tone and demeanour of his national address from Ithaca on the exit from the bailout memorandum. To be more precise, they did not expect any better. From the beginning of his leadership of the party, he was a herald of division. His rhetoric was sharp and largely arbitrary as regards individuals and situations. He was dominated by fixations, conspiracy-style “truths” of a populist, rough-hewn, sui generis Left, educated basically in street protests, without any particular understanding of public administration, economic production, or managing political affairs. In the first years of the crisis, which coincided with current prime minister’s assumption of the leadership of SYRIZA, the party and the core group that accompanied him did not recognise the breadth and depth of the crisis, and treated it as a short-term event which would pass, without great consequences. With the imposition of the first bailout memorandum, they began to see the great economic crisis as their opportunity, and they somehow adjusted to the emerging conditions. They were essentially dragged forward by events created by groups of indignados, anti-authority groups and extreme leftists in the summer of 2011, and composer Mikis Theodorakis’ “Spitha” (spark) movement. They proceeded to exploit all that, and they themselves became the exponents of hubris and verbal attacks. Everyone remembers the attacks and physical violence that members of the party and cadres exerted against their political opponents. Since then, whenever Mr. Tsipras finds things difficult politically, and whenever merciless events reveal his nakedness, he marshals the rhetoric of hatred and division. Essentially, he has nothing more to say, nothing more to declare. He promised everything to everyone, without being able to fulfil those pledges in the slightest. He saw his views about the crisis and its management being literally pulverised. He had to rethink everything in order to avert a fateful event, and so he accepted the third and most painful bailout programme, the completion of which he celebrated in such a divisive manner in his speech from Ithaca. It is no coincidence that on that symbolic day, he had nothing to say about the future. He had nothing to present in terms of future prospects and hope. He did not make the slightest reference to any comprehensive political plan for the post-memorandum era. He simply attacked those who hastened to help him, to offer their good offices, and in the final analysis to save him in the summer of 2015. Those in the know are aware of the role and participation of individuals, during those dark 17 hours in which Mr. Tsipras was frantically seeking a solution so that the country would not be forced out of the euro, and so that he and his party would not confront the rage and mockery of everyone. 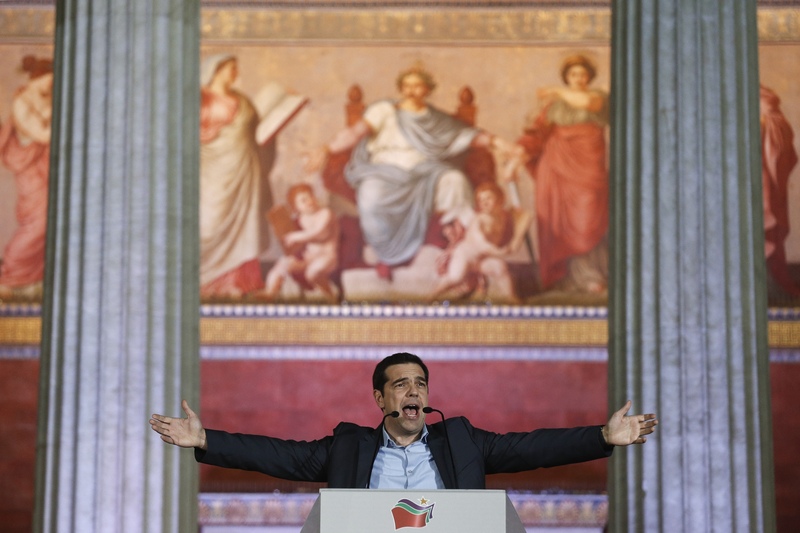 Essentially, Mr. Tsipras remains impertinent and imprudent, without cognizance of the conditions prevailing in Greece. He is not in sync with the priorities of citizens and the broader interests of the country. He is concerned only with his own power objectives and ambitions.